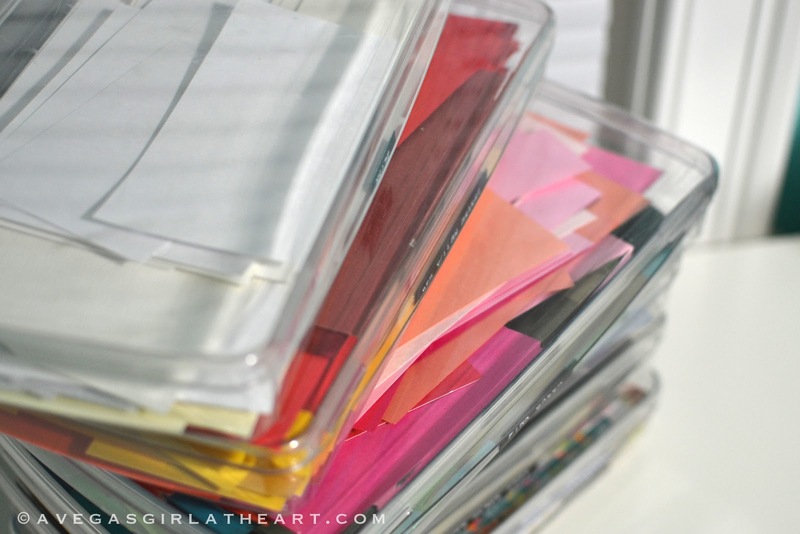 Anyone else have an enormous amount of paper scraps they just can't bear to part with? Oh boy. Remember this? This was my first attempt at organizing them. The post should have been titled "How NOT To Organize Paper Scraps." 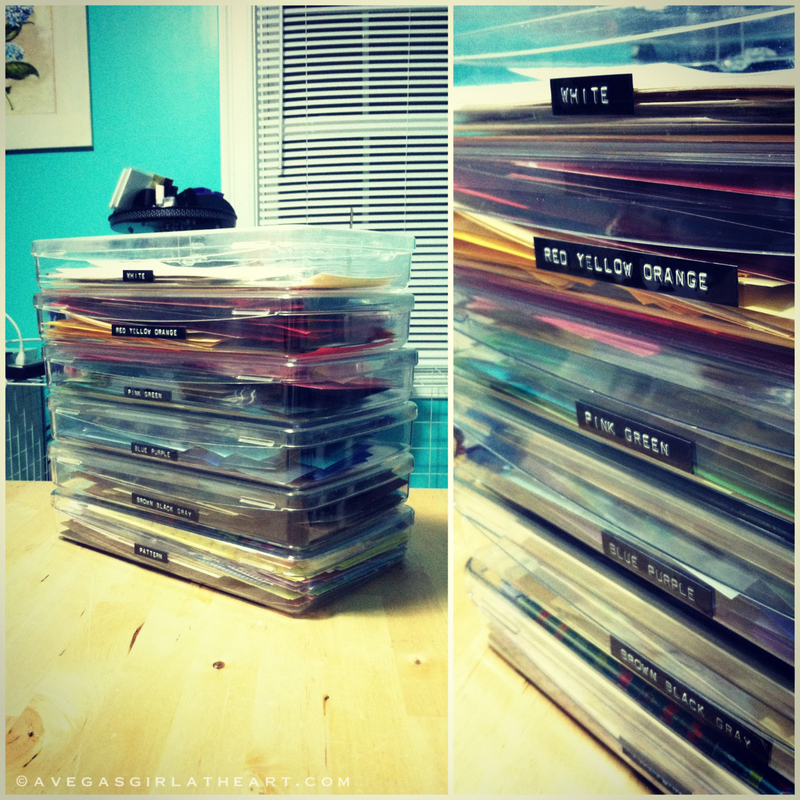 It was impossible to really see what I had, and the expanding file eventually got so big I couldn't close it. Then I tried this. Pretty, functional, and organized, right? 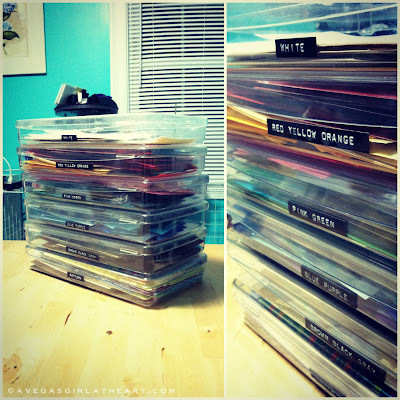 Except that the big, deep bins allowed me to keep accumulating tons of tiny little scraps (because, you never know when you'll need that 1" square piece of green polka dotted paper) that I never used because I couldn't see them at the bottom. And dumping the bins out to sort them? Forget it. Well, I managed to narrow down that three foot section of file bins of scraps to a 1 foot high beautifully organized stack. Thanks to recently preparing to purge some bead supplies, I had a bunch of my FAVORITE crystal clear Artbin Prism containers (I love these single compartment ones the best), and I had an epiphany. They'd be perfect for my paper scraps. I love the bins because they are totally clear, so you can see what's in them from all sides. I no longer scrapbook traditionally since I started Project Life, so there is no need for me to keep 12" long sections of scraps. I cut all of my longer pieces down (the bins are about 11" long and a little over 6" wide) to 6" or smaller. I make cards, and the smaller sizes are fine for what I'd use these scraps for. I also tossed (yes, tossed!) all of my teeny tiny scraps. If it's under 1" wide or under 3" square, it went. I filled up a small trash bag. 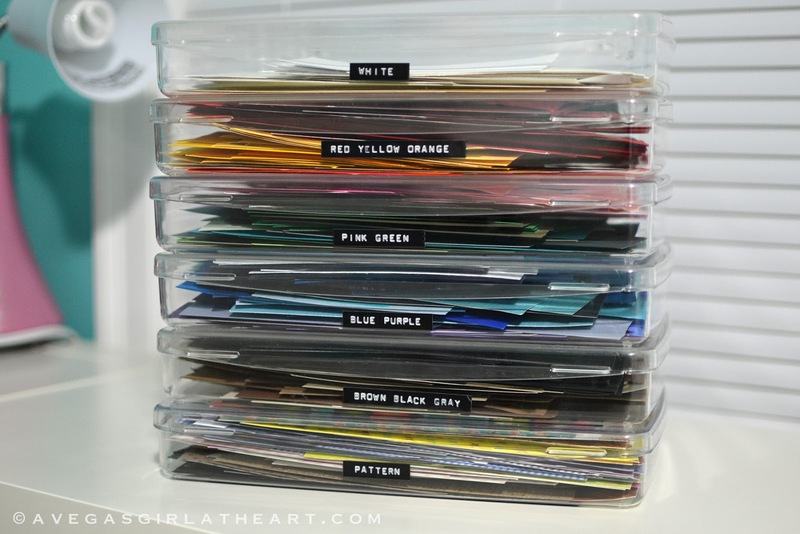 I put 2-3 colors in each bin, except for white, which I narrowed down to just a few pieces for test stamping into a single bin, and also used a bin for patterned scraps. Then I labeled the fronts with my Dymo. So much more manageable to look through for scraps. No more tiny pieces to be forgotten about. And I emptied 2 cubbies in one of my storage units that I can now use for something else. Feels amazing. 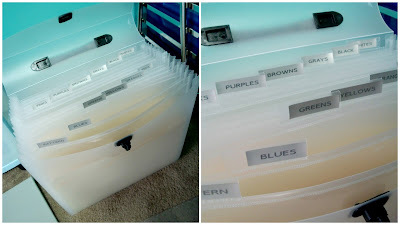 :) The scraps bins have been my nemesis for awhile and I'm happy to have conquered this! 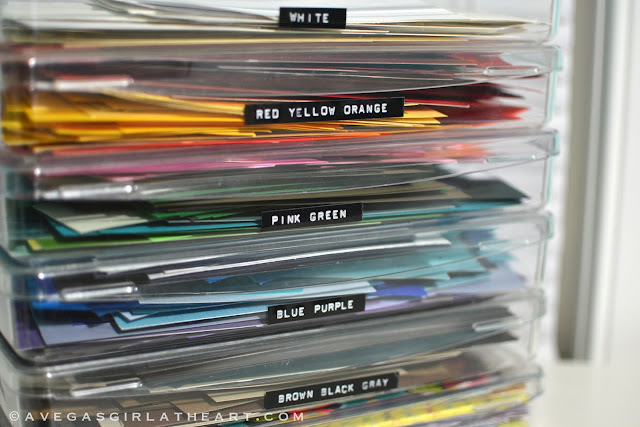 When I stopped "traditional" scrapbooking in 2002, getting rid of my stacks of paper was SO hard. Now that I'm doing hybrid homemade PL, I have one long basket that I put on pretty shelf brackets (so that it's not sitting on the kitchen counter, which I can't stand!) 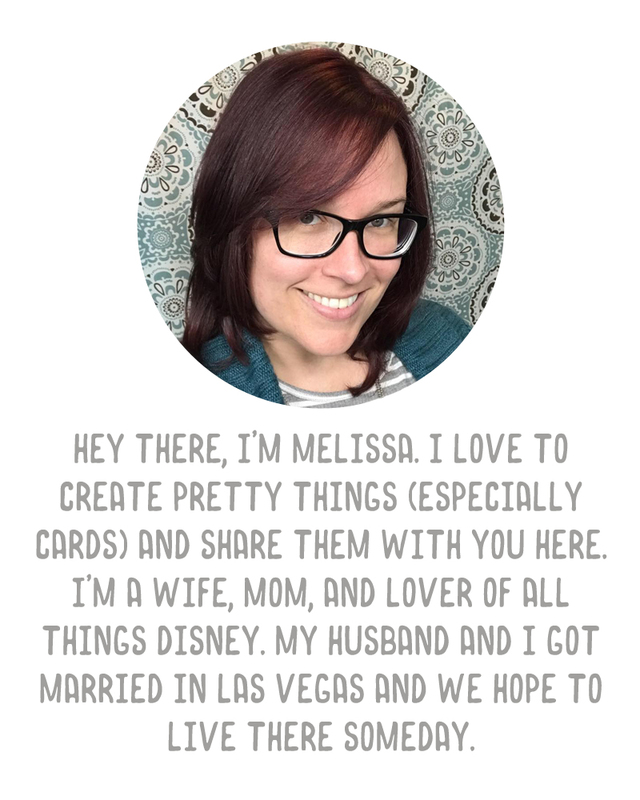 with just my PL cards that I've made, a few sheets of specific alphabet and word stickers, my teeny tiny letter stamps, pens, scissors, and a stapler. 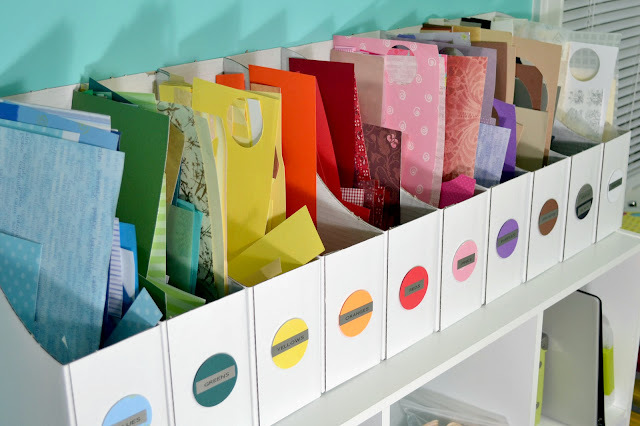 It is wonderful to not have so much stuff, which was my main complaint with the traditional way to scrapbook and it makes the whole process tremendously easier. What a clever idea. I've been struggling with scraps for years and finally just started throwing them away out of frustration.......unless it was a paper that I just couldn't part with (you know what I mean)! I'm going to have to try your system now as I can certainly see the potential. TFS! !